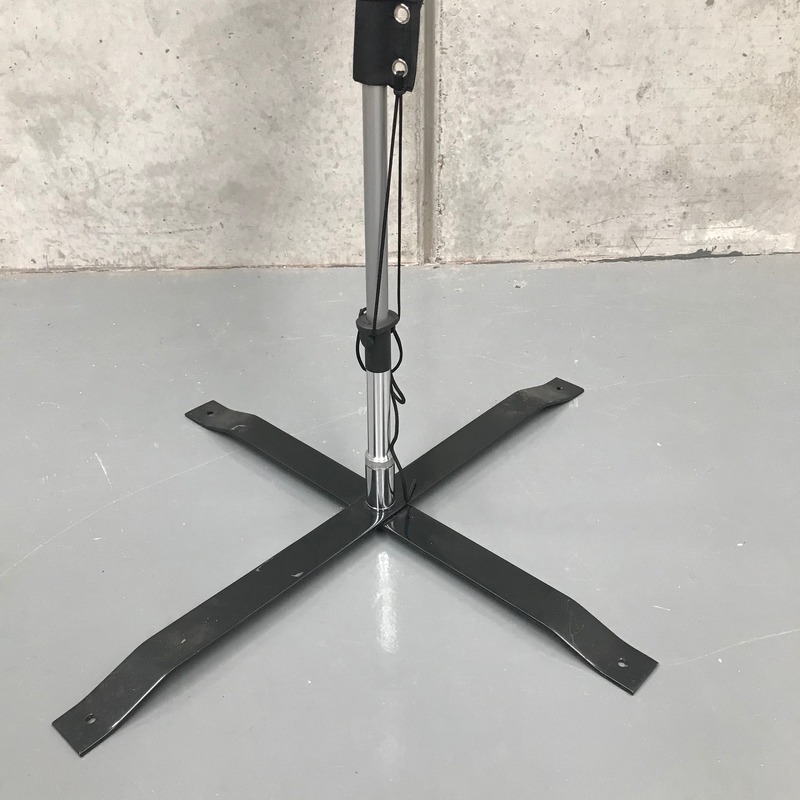 Ground spikes are the most popular base which allows you to setup your teardrop or feather banner on soft ground surfaces, such as grass, dirt areas, garden beds or in sand at the beach. Also very popular is the Cross Base stand which allows the stand to be setup on hard surfaces such as indoors or outdoors on concrete. Made of very strong cast iron, this base weights 3.8kg and will stand up in windy conditions. This base is much stronger than the folding base on the market and it’s very easy to pack up for transporting. For additional support you can order a donut shape sandbag weight. This sits over the base and holds the base down. Another option is the Car Base. This option is holds the teardrop banner in place using a car wheel. You can use this base by driving a front or back wheel over the stand to hold it in place. More popular with real estate agents.